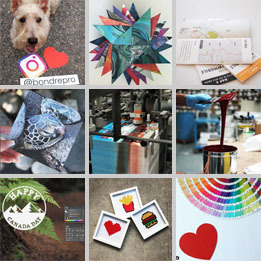 In the list below are links to some of our favourite outside printing resources. If you are relatively new to printing, they might be worth a browse. Whether you are looking for a Guide to Preparing Files for Print or a Glossary of Printing Terms, we are here to help with all of your printing needs. This is a basic guide aimed to help people just starting out in the print design business or are looking to learn more about preparing files better to send to press. Templates for designing Standard/Short and Long (S/L) and Oversize (O/S) mailings. A short article on the basics of print-ready file design. FSC® is an international certification and labeling system dedicated to promoting responsible forest management of the world’s forests. Includes technical and business terms. Paper Because . 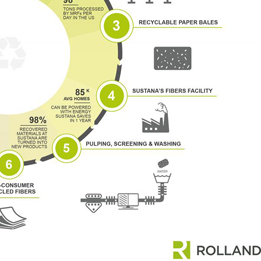 . .
Paper is a sustainable, renewable, recyclable, plant-based product that connects us in so many ways to the important things in life. Great ideas are started on paper. The world is educated on paper. Businesses are founded on paper. Love is professed on paper. Important news is spread on paper. Prepressure covers design techniques, PDF, PostScript, fonts, JDF and numerous other prepress topics that have to do with printed communication and graphic arts. Ideas and information to help achieve better quality in print. This category contains pages about distinct parts, components and ideas involved in the industrial and commercial process of printing. Ready to print? Request a quote today.